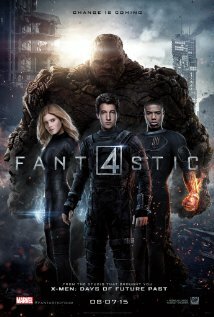 Showing this weekend Sept 4-6 is Fantastic Four! This movie is rated PG-13. Showtimes are FRI 7:30 P.M. SAT 7:30 P.M. and SUNDAY SUNDAY SUNDAAAAAAAAAAAAYYYY at 5:30. This movie stars Miles Teller, Kate Mara, Michael B. Jordan.